Acute coronary syndrome is essentially the name given to a heart attack or an impending heart attack caused by critically impaired blood supply to the heart, usually through blockage of one or more of the coronary arteries that supply the heart with blood. Lets get a little more detailed. Acute coronary syndrome more specifically includes 3 different entities. 1) STEMI or ST Elevation Myocardial Infarction, a full on acute heart attack that is caused by a total blockage of a coronary artery leading to a specific EKG pattern known as ST elevation. 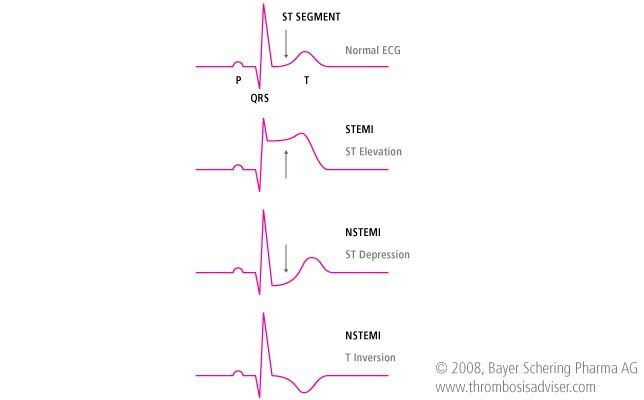 2) NSTEMI or Non ST Elevation Myocardial Infarction, a heart attack caused by critical blockage or sometimes full blockage of a coronary artery, but without the ST elevation EKG pattern. There will be elevation of the biomarkers such as troponin and there may by EKG changes such as ST depression or T wave inversion that are indicative of impaired blood supply known as myocardial ischemia. 3) Unstable Angina, also sometimes combined with NSTEMI to form the group known as NSTE-ACS or Non ST Elevation Acute Coronary Syndrome. In unstable angina although the blood tests did show evidence of heart damage, there is often a critical blockage and an impending heart attack. There may be intermittent changes on the EKG tracing suggestive of impaired blood supply (myocardial ischemia) and symptoms often come at rest and are often not relieved by usual methods such as nitroglycerin. For this reason it is treated as seriously as a confirmed heart attack and included in the acute coronary syndromes. Acute coronary syndrome is most commonly causes by development of an acute clot in a coronary artery that blocks the artery thus preventing blood from passing it and therefore starving the supplied area of the heart of blood. Acute Thrombus Causing An Acute Coronary Syndrome – Imagine a normal artery that has built up some plaque in it, as normal in most people and known as atherosclerosis. The plaque may become unstable at some point and essentially burst open which exposes material that is ‘thrombogenic’, basically meaning it attracts components in the blood that cause a clot such a platelet cells. 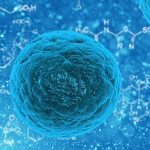 These cells become activated and start the clotting process and ultimately the clot can get big enough to where it blocks off the artery completely. From the second the artery blocks off, or if the clot is big enough to cause critical obstruction heart muscle tissue starts to die in a process known as necrosis. Interestingly, people think that the heart attacks only happen in patients who had high-grade blockages in the first place. 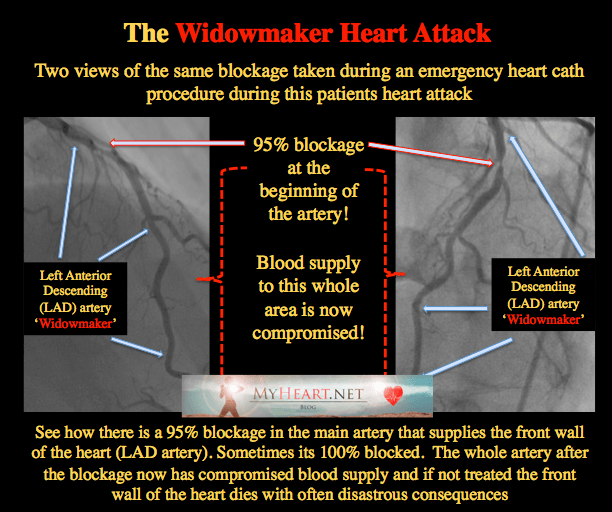 That is far from the case, often acute coronary syndromes occur in patients who only had blockages that looked fairly minor. These minor blockages are still representative of an underlying disease process and can just as likely becomes unstable as severe blockages. This is why stress tests don’t necessarily predict heart attacks of development of acute coronary syndrome. Coronary Embolism Causing Acute Coronary Syndrome – This is where a piece of debris or blood clot is dislodged from elsewhere in the body and travels in to one or more of the arteries becoming trapped, blocking the artery and causing an acute coronary syndrome. This debris may be a clot from elsewhere in the body, a piece of tissue or calcium off a structure such as a valve, or a piece of infection off a valve. Coronary Spasm Causing Acute Coronary Syndrome – Coronary spasm refers to spasm of a coronary artery to the severity where is causes critical obstruction and an acute coronary syndrome. Some people are prone to spasm caused by a number of different mechanisms, and at times the spasm can be severe enough to cause full on heart attacks with terrible consequences. Other offending factors that can lead to spasm are drugs such as stimulants and cocaine. Coronary Dissection Causing Acute Coronary Syndrome – Coronary dissection refers to development of a tear in the walls of a coronary artery that propagates down the artery leading to impairment of blood supply and development of acute coronary syndrome. The classic presentation of acute coronary syndrome from coronary dissection would be a young woman in her 20’s or early 30’s, or an acute coronary syndrome during pregnancy. Of course the classic symptom in an acute coronary syndrome would be chest pain and pressure that may radiate to the arm or the jaw, and be associated with sweating and / or shortness of breath. Of course there are a number of other symptoms and signs that may be associated and in many cases the classic symptoms just described don’t occur that can result in misdiagnosis. Other important symptoms to be aware of include back pain, jaw pain, neck pain, nausea, and shortness of breath, palpitations, indigestion, dizziness, and passing out. EKG heart tracing – this is a tracing of the electrical activity of the heart and when someone has chest pain or other symptoms suggestive of acute coronary syndrome this must be done almost immediately. In a STEMI heart attack, the EKG will show a classic pattern of ST elevation in certain leads. In fact those leads can be used to localize the area of the heart affected. If a STEMI is diagnosed the patient needs to be taken to a center capable of performing procedures to treat heart attacks immediately as the heart muscle is in the process of actively dying. In the NSTEMI heart attack and unstable angina the EKG may show characteristic changes also, such as ST depression and T wave inversion. Blood Tests – These are for biomarkers released at times of heart muscle damage. The most classic is known as troponin, and if in an acute coronary syndrome this is elevated then there has likely been some heart damage. In a STEMI, the troponin will almost certainly be elevated and it is elevated in a NSTEMI, which is why they are designated MI’s or myocardial infarctions. In unstable angina troponin may not be elevated as there may not be damage at that point, rather the damage is impending. In addition to troponin CK and CK-MB blood tests may be used although in the age of troponin these are used less and less. Older tests such as myoglobin are hardly used at all nowadays in acute coronary syndrome. Troponin is the highest sensitivity test we have and will detect almost all heart attacks. The caveat is that it does take several hours for the troponin to rise therefore they are typically tested serially over time. 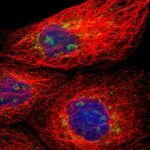 The newer high sensitivity troponin is able to detect damage earlier. Although, none of these tests compare to the EKG in a STEMI when it comes to making a timely diagnosis. 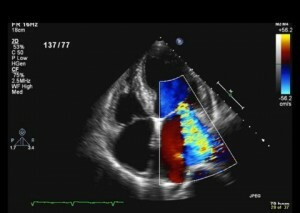 Echocardiography – This is an ultrasound scan of the heart demonstrating heart structure and function. In a STEMI an echocardiogram will show that the area of the heart muscle affected does not work or is significantly impaired, known as a wall motion abnormality. There may be wall motion abnormalities seen in NSTEMI and unstable angina also. In addition to looking at the heart muscle function, the echocardiogram can give details regarding the heart valves that can also be affected in an acute coronary syndrome. An example of this is the development of a leaky mitral valve known as mitral regurgitation caused by heart muscle dysfunction. Nuclear Imaging Tests – In a STEMI, this is not appropriate since it is a time sensitive emergency however in unstable angina for example, where the diagnosis remains uncertain after other testing, the nuclear scan can look at blood supply to different areas of the heart and detect significant abnormalities. In the setting of an acute coronary syndrome a stress nuclear scan is not likely appropriate however resting scans may be useful. Coronary Angiography – This is considered the gold standard test whereby dye is injected directly in to the arteries of the heart by means of a tube known as a catheter that is inserted through the arteries of the arm or the leg to the heart. The dye outlines the arteries in a process known as coronary angiography that will identify any blockages in the arteries that may be responsible for the acute coronary syndrome. Another name for this is heart catheterization or a heart cath. A heart catheterization is also the means through which the arteries may be fixed by placing stents or other treatments. Before Getting To Hospital – If the diagnosis of acute coronary syndrome is strongly suspected prior to getting to the hospital treatment is begun at that point. Aspirin will typically be given. In those with breathing difficulty oxygen may be administered. Pain medicines will be given to alleviate the acute pain also. Of course if the patient is in extremis, breathing tube insertion and CPR will be administered as seen necessary. In those with lethal heart arrhythmias defibrillator shocks may be required to restore a heart rhythm compatible with life. In some cases of STEMI, where the EKG diagnosis is obvious and there is concern that the patient may not make it to a healthcare facility in time to administer definitive treatment, there may be use of clot busting medicines known as lytics to try and dissolve the clot. If however a STEMI patients is able to make it to an appropriate facility in time then lytics are not given, rather patients are taken for urgent heart catheterization. Pathways of care in most countries are now well established for patients with acute coronary syndrome, particularly STEMI. STEMI centers are established and are known to the paramedic services and times taken to deliver patients to these centers then get them on the treatment table is tracked in national quality databases to ensure timely therapy. Arrival To The Hospital – On arrival to the hospital, if the diagnosis is STEMI the patient will be taken immediately to the heart catheterization lab for a procedure to look at their arteries and if possible treat blockages. In the case of other acute coronary syndromes, NSTEMI and unstable angina, there can be some time taken to gather information and assess the patient. Often, aspirin will be given if not given already; a second anti-platelet agent may be given such as Plavix, Ticagrelor or Prasugrel. The blood thinner heparin may also be given. Blood tests will be taken for routine blood-work and troponin and other tests felt necessary. If patients are felt to be unstable in any way then they may be taken for more urgent treatment in the heart catheterization lab. 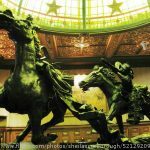 If there is difficulty breathing there may be the need to start breathing assistance or administration of Lasix a diuretic drug and or nitroglycerin to treat any fluid accumulation in the lungs. Stable Patients On The Cardiac Unit or Floor – Patients with acute coronary syndrome who are stable should be ideally monitored on a cardiac unit or a cardiac floor. Here they can be kept on telemetry and immediate attention delivered if their condition worsens. Medicines can be given in a timely fashion and blood tests drawn on time in a serial fashion. Patients that are not stable will likely be taken to the heart catheterization laboratory for immediate treatment. Cardiac Catheterization Laboratory – This is where the pictures of the heart arteries are taken and treatment given if needed. STEMI patients are taken immediately to the cath lab, and NSTEMI or unstable angina patients are taken in a relatively urgent fashion (6-24 hours). If need be, stents or other treatments can be administered here to treat the blockages. 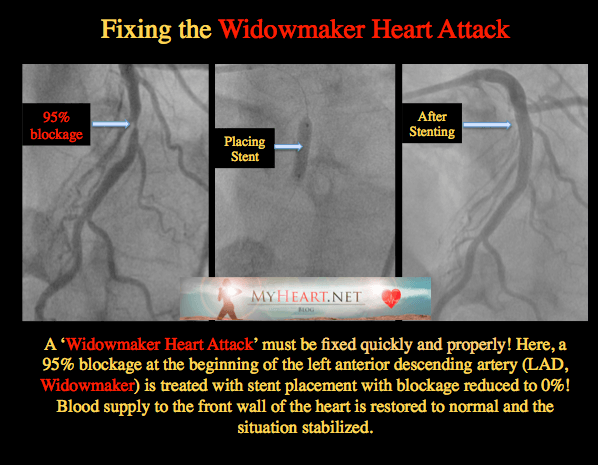 See this linked article to the Widowmaker heart attack for a description of the process. In some cases where treatment if unable to be done with stents or is felt to be better served with surgery, open-heart surgery is advised. After Treatment Of The Blockage – Care after treatment of a blockage is just as important as the treatment of the blockage itself. Medicines – Acute coronary syndrome patients need to be treated with medicines that have been proven to improve their clinical course, quality of life and survival. Patients will likely be on lifelong aspirin. 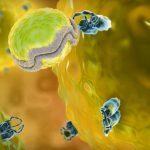 In addition to this, patients with an acute coronary syndrome will be prescribed a second anti-platelet agent such as Plavix or Ticagrelor for a year. They may be initiated on medicines known as beta-blockers and ACE inhibitors amongst other medicines. Risk Factor Modification – Smokers need counseling, smoking must be stopped, due to the high likelihood of worsening future outcomes. Those with diabetes need counseling as to the importance of control in stabilizing the heart disease. Importance of follow up and compliance with medicines must be stressed. Blood pressure control and monitoring is important. Patients should be offered the chance to go to cardiac rehab that is an outpatient program proven to improve outcomes and wellbeing in patients who have suffered an acute coronary syndrome. Regular exercise and dietary modifications are also felt to be critical. Acute coronary syndromes comprise STEMI & NSTEMI heart attacks and unstable angina and represent critical blockage or occlusion of a coronary artery that supplies the blood with heart. Most often acute coronary syndrome is a result of rupture of a plaque in the vessel wall causing thrombus formation and critical vessel occlusion. 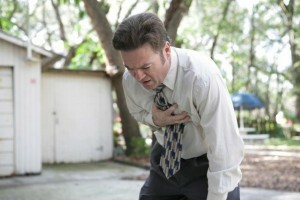 Other important but less frequent causes of acute coronary syndrome include dissection, spasm and embolus. Immediate attention to evaluation and diagnosis is required in acute coronary syndrome. STEMI heart attacks diagnosed by the pattern of ST elevation on the EKG heart tracing should be taken straight to the procedure room known as the cardiac catheterization laboratory and if they cant get there in time be considered for clot busting thrombolytic therapy beforehand. NSTEMI heart attacks and unstable angina patients need immediate risk stratification through a combination of labs and possibly imaging and are typically taken to the cath lab within 24 hours for further evaluation and treatment. Treatment of acute coronary syndromes typically compromises initiation of meds including blood thinning medications and others then coronary angiography in the cath lab. Definitive treatment typically comprises stent placement although in cases felt unsuitable for stents coronary artery bypass surgery is recommended. Also critical in acute coronary syndromes is i post event care including lifestyle and exercise counseling, cardiac rehab, risk factor modification and close follow up. Recurrent black outs, breathless on minor exursion chest pain, tacky / Brady changing very quickly between the two. Last echo week ago small pericardial effusion. Canon waves on pacing. Awaiting surgery for lead extraction. Told waiting time will be two months. Symptoms increasing but deteriorating quickly. Any suggestions to improve health in the interim. This is getting scary. 6 weeks ago I could walk miles now I have to have a minder if I want a shower!